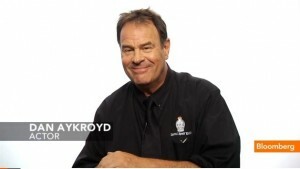 A couple of weeks ago, I had the opportunity to interview acting legend Dan Aykroyd. While our main focus was the 30th anniversary of “Trading Places,” I veered into the far-nerdier territory of Aykroyd’s seldom-discussed working relationship with Steven Spielberg. Spielberg gave Aykroyd his first role in a major motion picture in 1979 with his World War II Comedy Spectacle “1941.” For me, “1941” was an especially hot topic because the Film Nerds crew recently discussed the much-maligned film in detail for the Film Nerds Film Club Podcast. Check it out here if you haven’t already. This led to some intriguing revelations about the backstories behind Spielberg’s cameo in “The Blues Brothers,” as well as Aykroyd’s appearances in two of Spielberg’s subsequent productions. Aykroyd also offers insights on why director John Landis doesn’t work as often, as well as a compelling prediction about who he thinks will become the next major comedy star.